If you have a husband who can’t or won’t stop drinking, he likely has an alcohol use disorder. As the spouse of someone who struggles with drinking, you face a lot of negative effects, from abuse to your own mental health issues. It is important to take steps to help your spouse and to protect yourself. Identify and stop enabling behaviors that allow him to keep drinking, learn more about alcohol use disorder, have a calm but serious talk with your spouse, and if necessary, have a professionally-guided intervention and provide options for addiction treatment that he can start immediately. Why Choose Alta Mira for Treatment? Alcohol use disorder is a serious disease that can range from mild to severe. If someone who drinks heavily tries but fails to stop or slow down, it could indicate that he has this condition, and it may even be moderate or severe. Partners of people struggling with alcohol addiction are in a difficult position. They often suffer as well, and they have the burden of trying to help and facing the decision of what to do if their help isn’t enough. If you find yourself in this situation, avoid blaming yourself and avoid enabling his drinking habit. Have a calm but serious discussion about the issue and point out specifically how it is harming him, you, and your lives together. Learn more about alcohol use disorder and come up with options for treatment if he cannot manage his drinking. If he still doesn’t make changes, consider an intervention. And if that doesn’t work, you have to make the important decision about when to remove yourself from this harmful situation. If you are living with a husband who can’t or won’t stop drinking, you are probably living with an alcoholic. There can be very serious effects of living with a partner whose drinking is out of control. Spouses of alcoholics are at a greater risk of being victims of domestic abuse or emotional and verbal abuse. They are more likely to develop mental health issues, like depression, anxiety, and suicidal thoughts. Partners of alcoholics may also become socially withdrawn, avoiding friends and family out of shame or embarrassment. They may find their own health deteriorates as they spend more time and attention on their spouse. Over the long-term, living with someone who cannot manage his drinking can lead to harm to children in the family, divorce and breakup of the family, trauma, and financial problems. Because the consequences of having an alcoholic partner can be so serious and long-lasting, it is essential to take steps to find a solution to the problem. Many partners of alcoholics make the mistake of thinking that they are in some way to blame for the problem. You may think that if you were better able to meet his needs, or if you nagged less, or if you were able to take some of the stress out of his life, maybe by earning more or keeping the house cleaner, that he wouldn’t feel the need to drink. This thinking is damaging and isn’t true. No one else makes someone drink too much, to the point that it leads to an alcohol use disorder. Not only is this type of thinking harmful to you, it is unproductive because it doesn’t help solve the real problem. A critical way in which people often enable a partner’s drinking, without necessarily meaning to do so, is by avoiding the topic. It is uncomfortable but also important to talk about your husband’s drinking, the consequences it has for you and the rest of the family, and what you need him to do about it. Selecting a time to talk about drinking can make a big difference. Choose a time when there are no distractions, for instance when the children are not home, and when he is sober and not hungover. Make sure you have plenty of time for a discussion. Remain calm and avoid preaching, lecturing, or becoming overly emotional or angry. What does help in a discussion with someone who struggles with drinking is to use facts. Talk about specific examples of behaviors that are problematic and the consequences that affect you and your family. It also helps to express worry that he is putting himself in risky situations and harming his own health. If you can provide evidence that your spouse exhibits some of these behaviors, it may help make your case that he needs professional help to stop or slow down his drinking. There is only so much a loved one can do to convince someone that their drinking has become a problem that needs to change. 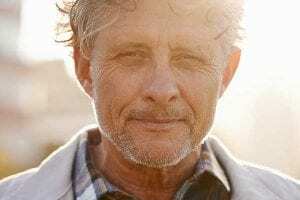 If you have stopped enabling behaviors, let him fully experience the consequences of his drinking, and have had frank discussions of the issue, and he still won’t make a change or even agree that he has a problem, it may be time to turn to professionals. An intervention is a gathering of multiple people who care for the person with a drinking problem. It is a gentle and loving confrontation to help him see why his behaviors need to change. Interventions can be risky, so it is best to use this as a last resort and to do it with the guidance of an addiction professional. An intervention should be planned in advance, so that everyone knows what to say, you have treatment options available, and you have decided on specific consequences in the case he does not accept treatment or help. As all of this is going on, it is important to not lose sight of your own needs or those of your children if you have any. Keeping them and yourself safe and healthy should be a top priority. If your husband’s behaviors get to the point where you or your children are not safe, remove yourselves from the situation. Stay with a trusted family member for a period of time while you try to solve the problem. Even if you are safe and don’t need to leave, be sure to take care of yourself by getting social support from someone you can trust. Sharing your burden can be a big relief. You may also want to join a support group for the loved ones of alcoholics or even see a therapist or counselor for your own mental health issues that arise from or are exacerbated by the situation. Problem drinking can be managed and behaviors can be changed, but you are likely to find resistance. And even when a spouse is willing, actually being able to change may be impossible without professional help. A treatment program for alcohol use disorders can be beneficial, providing counseling and therapies, medical care, and strategies and planning for making real and lasting changes that can help keep your family together. At Alta Mira, we create the best possible treatment experience. Our innovative clinical programs and exceptional San Francisco Bay location give you an opportunity to nourish your mind, body, and spirit. We go beyond the treatment of alcohol and drug abuse to identify and address co-occurring disorders to help heal underlying issues so you can achieve lasting recovery. If you’re ready to learn more about what we have to offer, please contact us. We’re here to listen and help you find solutions for the problems you’re facing.